Helps maintain cardiovascular function and a healthy circulatory system. Formulated by Hanna Kroeger, Master Herbalist, CircuFlow is a superb blend of herbs, minerals and vitamins that help maintain cardiovascular function and a healthy circulatory system. This tried and true formula contains hawthorn berries (increases oxygen), horsetail (builds and repairs healthy blood cells), Vitamin-C (antioxidant), taurine (mineral metabolizer), arginine (healthy blood vessels), chromium picolinate (lowers cholesterol), and selenium (antioxidant). 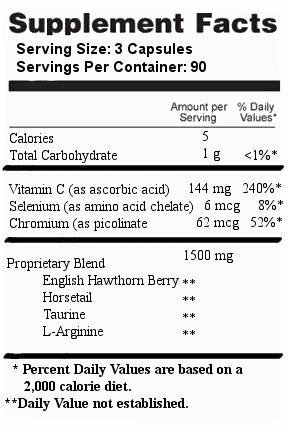 Hawthorn is a clinically proven botanical that improves blood and nutrient flow to the heart muscle.